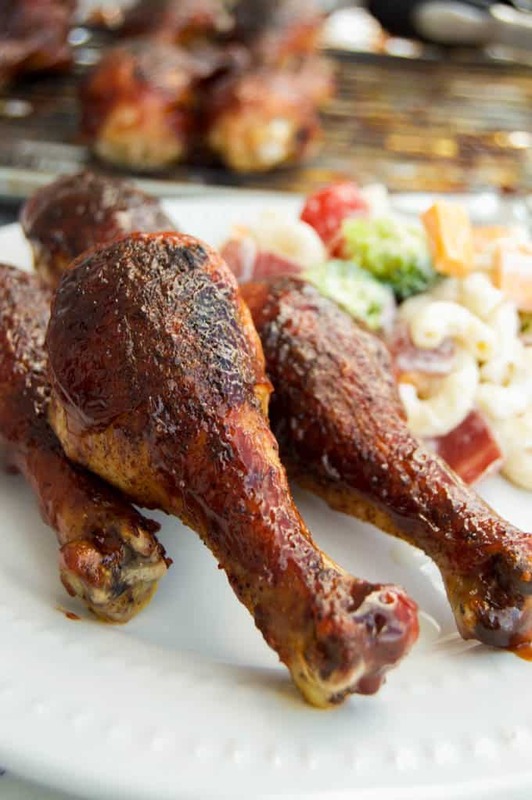 These Baked BBQ Ranch Chicken Legs taste like they came right from the grill. They are baked crispy and sticky with a ranch bbq sauce and seasoning. 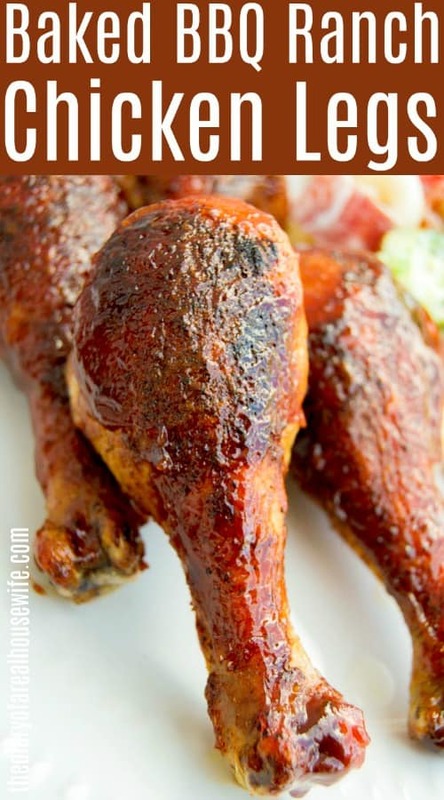 Perfect crispy and sticky Baked BBQ Ranch Chicken Legs. I love that they taste like they came right off the grill because on these rainy days I need a little taste of summer. It’s been raining here for what feels like weeks! My kids have cabin fever and I am looking forward to sunshine. We brought the sunshine to use and just make believed these Baked BBQ Ranch Chicken Legs came off the grill and we all could be sitting pool. 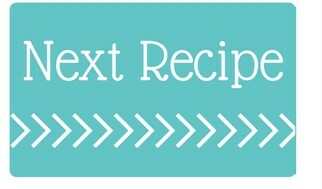 This recipe is so simple to make. I always start but preheat my oven then preparing a baking sheet with foil and a baking rack. Pat chicken dry with a paper towel and set aside. In a small bowl mix all seasonings together but only use about half the 1 oz packet of ranch seasoning. Coat chicken in your dry rub and place on baking rack. Bake for 40 minutes turning once about half way through. Now in a small mixing bowl whisked together BBQ sauce and remaining ranch seasoning. Remove chicken from the oven and brush with BBQ sauce. Place back into the oven and broil for 45-50 seconds on each side until all sides have been broiled and are crispy. Serve and enjoy!I served this recipe with Bacon Ranch Pasta Salad and Roasted Ranch Green Beans. 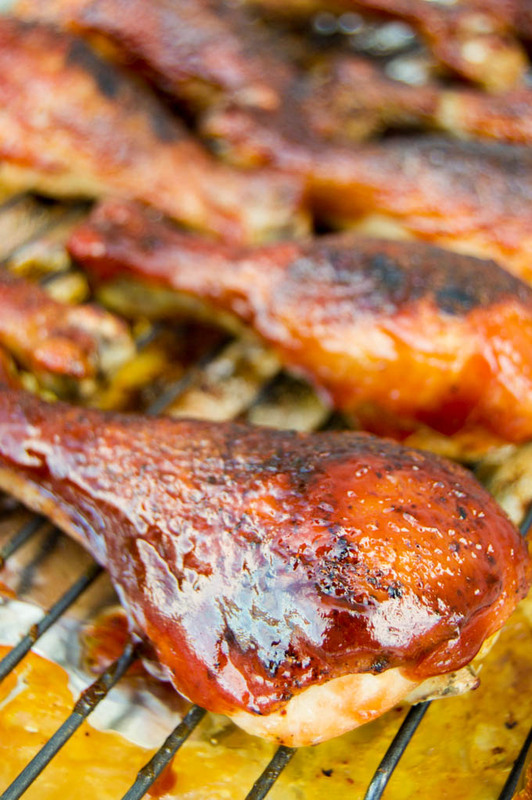 How to get the crispy skin on these Baked BBQ Ranch Chicken Legs? 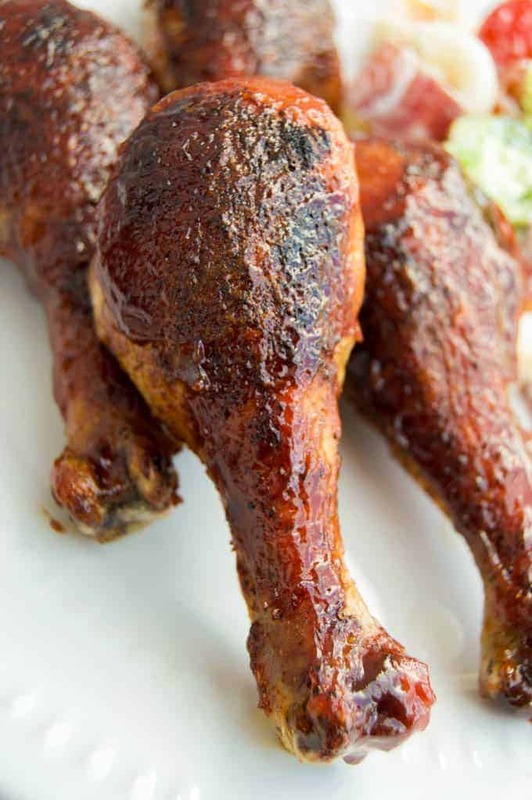 I love that these Baked BBQ Ranch Chicken Legs come out with perfect crispy skin just like they do on the grill. My trick is baking them on the rack and then broiling them after. You want to start with thawed chicken legs. Even thawed your chicken will have water and you don’t want it sitting in it for half the baking time so using the rack will keep them raised and out of any water that comes out of the chicken. Once cooked and brushed with BBQ sauce I place mine back in the oven to broil. This helps give the skin that extra crispy and stick right off the grill taste! Slow Cooker Ranch Pork Chops: This recipe has been pinned over 10k times and is a readers favorites! It’s a must try recipe. BBQ Ranch Pulled Pork: I love this simple recipe. It’s one of my favorite ways to make pulled pork, the flavor is amazing! Cheesy Ranch Chicken Enchiladas: This one is a favorite with my kids! Ranch flavor and then covered in cheese. Preheat oven to 375 degrees F. Prepare a baking sheet with foil and a baking rack. Pat chicken dry with a paper towel and set aside. In a small bowl mix all seasonings together but only use about half the 1 oz packet of ranch seasoning. Coat chicken in your dry rub and place on baking rack. Bake for 40 minutes turning once about half way through. In a small mixing bowl whisked together BBQ sauce and remaining ranch seasoning. Remove chicken from the oven and brush with BBQ sauce. Place back into the oven and broil for 45-50 seconds on each side until all sides have been broiled and are crispy. Oh my goodness! I made these for dinner tonight and they were a big hit! Everyone loved them, even my super picky kids. Super easy and really delicious! Awesome! Pleasing the picky eaters is not an east task!! Glad they liked these!